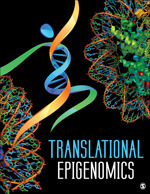 Los Angeles, CA - SAGE today announces the launch of Translational Epigenomics, a new open access journal publishing research on epigenetic alterations in gene expression. Translational Epigenomics will cover diverse aspects of this new and emergent field such as DNA methylation, posttranslational histone modifications, and non-mutational RNA regulatory mechanisms. The journal welcomes basic science and clinical medical specialty submissions. Now open for submissions, Translational Epigenomics will focus on translational applicability and relevance of the research findings to health and disease. “SAGE is proud to be among the first to publish an open access journal in epigenomics, continuing our rich history of publishing in new and emerging fields of study. We are confident that Translational Epigenomics’ high quality research will be widely applicable in practice for the treatment of disease and the improvement of human health,” commented Bob Howard, Vice President of Journals at SAGE. To learn more, visit link.